Preview- "Agriculture is a dynamic field marked by new technological advances. 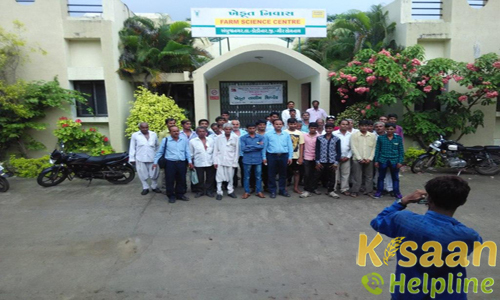 This Krishi Vigyan Kendra (Farm Science Center) has been supporting farming communities for enhancing and sustaining their livelihoods by promotion of varied intervention in sphere of agro based livelihoods. ICAR sanctioned this KVK in year 2007 to Ambuja Cement Foundation (ACF) and thereafter recruited staff with fully functionalized since June 2008 at Kodinar for District Junagadh including newly formed Gir Somnath District of Gujarat state to ensure that farmers are abreast with technological advances for all agricultural needs. Our KVK promotes agro based livelihoods by assisting farmer through regular mandatory activities like; training programmes, front line demonstrations, on farm testing, farm development and other extension activities. These activities help to bridging the gap between research and extension and equip farmers with latest development in agriculture field."